Part of the new Naturals range for D.R. 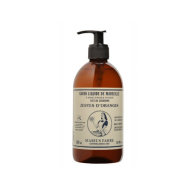 Harris, this delicious Ginger and Lemon hand and body wash is designed to invigorate the senses at the start of the day. Made in England, D.R. Harris are proud that all ingredients are entirely natural with no chemical additions. Suitable for all skin types.